Forza Horizon 4 is an open world racing video game on Xbox One and Microsoft Windows. 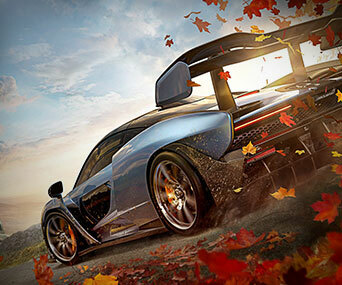 For the first time in the racing and driving genre, experience dynamic seasons in a shared open-world. Forza Horizon 4 Credits is the most important currency in the game to help you improve game experiences. Welcome to buy Forza Horizon 4 credits from professional and trustworthy game currency store - AOEAH.COM. Get cheap Forza 4 credits instantly to buy new high performance cars in the game, high performance gears or repair and upgrade your existing cars - without having to earn or unlock them. Buy cheap Forza Horizon 4 credits for Xbox One, PC today with fast, safe worldwide delivery, full stock meet your demand all time! We promise all cheap FH4 Credits for sale here are 100% safe to use in-game! Feel free to contact our 24/7 LIVECHAT if you want to buy FH4 Credits or you have any game questions or order problems.